Sometimes when you have a cute outfit, you just deal with 30 degrees. I couldn't hide these cute sleeves, so I just dealt with it. Worth it? Oh yeah! 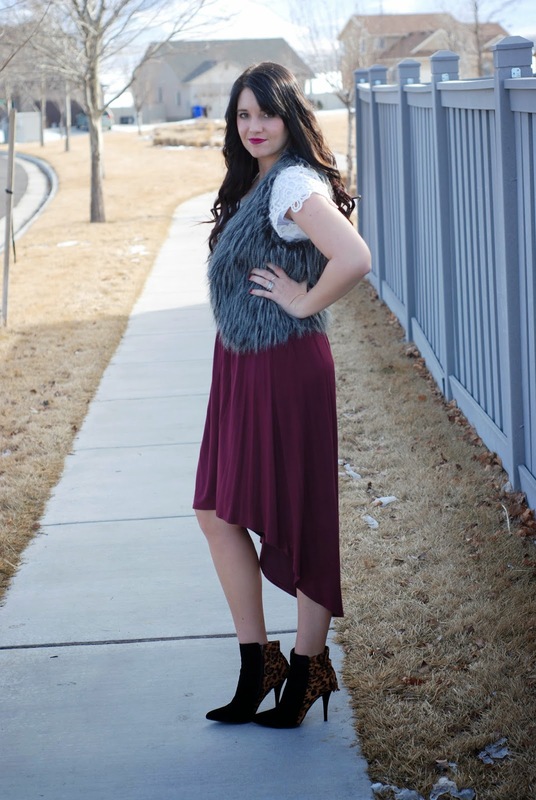 This adorable outfit is from Annie Jean Apparel! If you haven't heard of them, check them out here. You will find anything from the cutest leggings, to scarves, skirts, tops and some of my favorite basics! I am so excited to wear this skirt all summer! 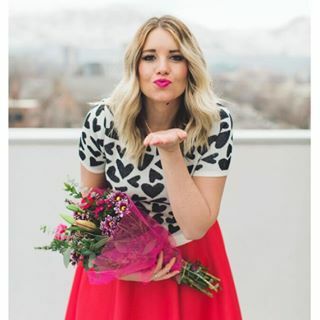 Even better news, I am doing a giveaway next week with Annie Jean. You are gonna want to stop by for this one! This weekend I am heading to the Build Your Blog Conference. Pretty dang excited. Sorry for keeping this short and sweet, but this girl has to pack! 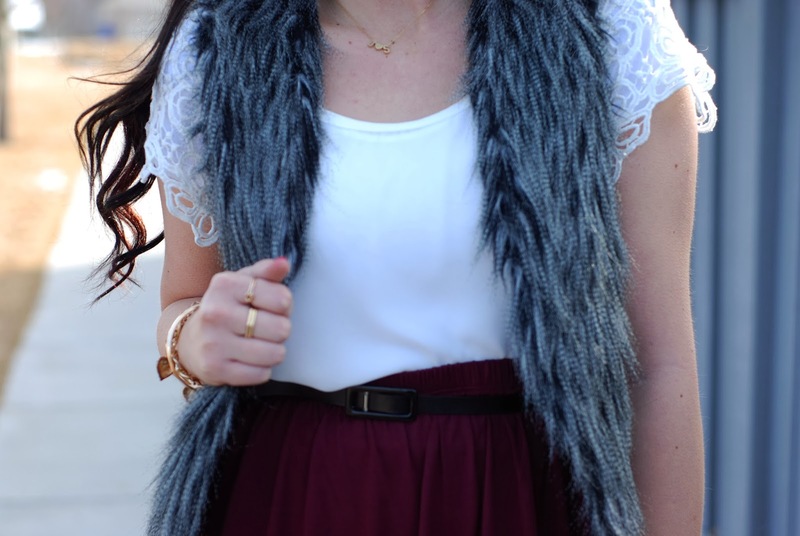 4 comments on "BRAVING THE COLD FEATURING ANNIE JEAN APPAREL"
My favorite part of this outfit is that gorgeous fur vest! 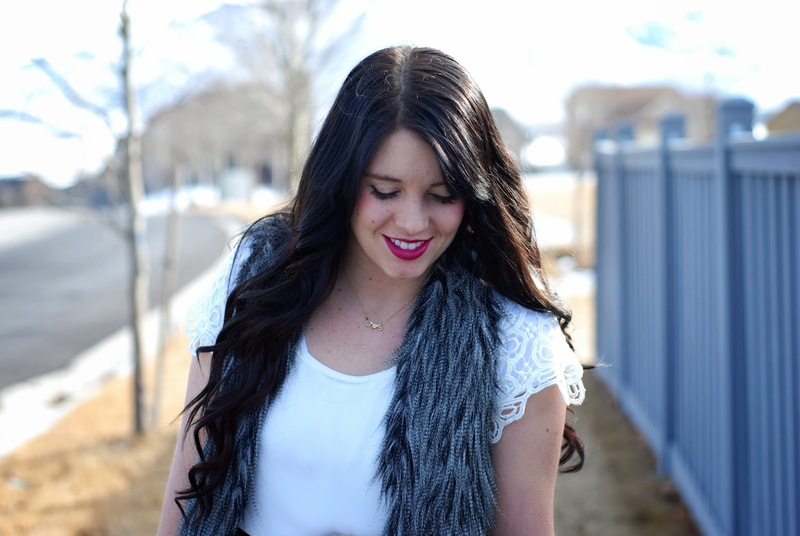 Oh how I love Annie Jean Apparel! You look beautiful girl!! Love the skirt!